News has moved . . . .
News is now displayed on the opening page of QuickSnooker 8 - where it is much more accessible and gets read more. Please install the game - you will then get regular updates on new developments right there on the first screen . Q:How many triangles on a Snooker table ? . . I've had a tough but very productive week - I know updates have been a bit thin on the ground, but the next one has turned into to biggie . . There are several big improvements on the way including smoother graphics - Most of today has been spent trying to get the balls truly pixel-perfect (in fact sub-pixel perfect) at all resolutions, here's a screenshot of how the pack is made up from my 4K monitor . Lots of other good things to come - but this update is not quite there yet ... any day now . . I just thought I'd keep you all posted. Fixed a problem with the compability of the Icon files - which (ludicrously) was stopping the program from launching on some Vista/W7/W8/machines. Improved layout switching - camera postion and angle is maintained for seamless switching (even whilst aiming) use keys 1-6 to switch layouts - Thanks to Yisc for help testing. Added code to stop any future sign-ups with leading ot trailing whitespace ! Quite a lot of work on 'layout' mode - which now saves camera positions and orientations correctly, and 'locks' the overhead view. PS:- If you're a registered player - please show your support buy buying the 'Booster pack' in QS8 - and If you're not yet registered, there are a bunch of good things for you to buy - just press the 'upgrade' button in the game. QuickSnooker 8 Beta can at last be downloaded from the bottom of this article - but do yourself a favour and at least read the HINTS section below. There are hundreds of improvements, to almost every aspect of the game. Much 'better' computer opponents - more realistic and strategic play. No need for keys or serial numbers any more, purchase and play painlessly from any PC. Improved mouse and keyboard handling - no more jammed keys, flying you out of the room. 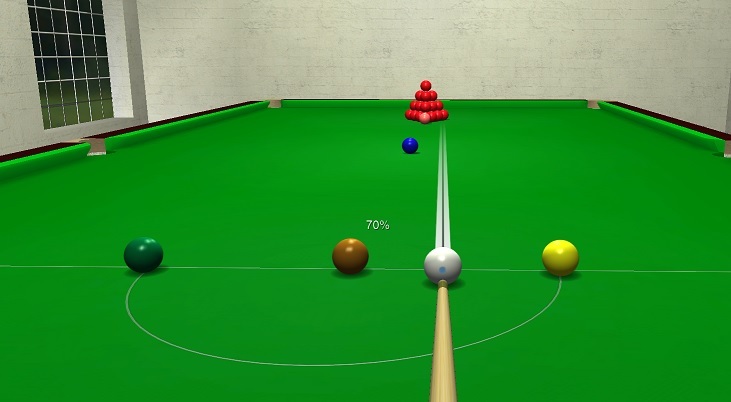 Smoother camera movements - including automatically lining you up, on the next ball on. Detailed stats of all games, with graphs of your Elo Score. Major improvements to the physics - and realism modelled on experience on a real table. You can now assess a shot before you decide whether to put your opponent back in. Shot clock , claim foul, pause and resume games - all new features to stop unfair quits and rescue genuine lost connections. OK - so it's not all sweetness and light - there are quite a few rough edges, a few things (like resuming games) are work in progress - but, overall it's reached a stage where it is very playable, especially the computer opponents (on-line play is catching up fast). You may be in for a bit of a wrestling match with Windows and/or your Internet Security software - Windows 10 will Show A 'SmartScreen filter has protected your PC pop-up ' (you will need to press 'more info' and 'run anyway') - other security products may have equally scary messages as the program is unknown to them. QS8 installs in parallel with your QS7 - so you won't lose or break anything - You will have two desktop Icons a 'new' and an' old'. 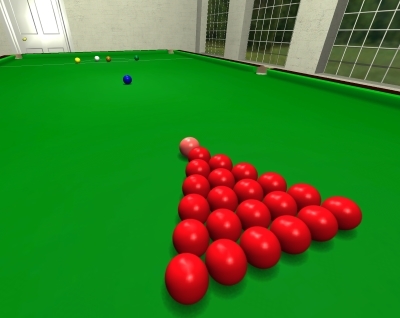 You can sign in to your existing QuickSnooker account using your player name and password in the top right of the first (green) screen. If you use the sign-up form (on the left of the first screen), you will be creating a new account - which isn't a problem per se, but it won't have your paid features. Once in the game, The new menus are behind a three bar icon in the top left. Can I buy QS8 yet ? And, Yes - you can buy it if you like - If you'd like a fresh start, a new profile - or to show your appreciation by making another purchase, there is an 'upgrade' button you can use on your new (or old) account (see 'my account' in the menus). If you'd like to make a small contribution - and get something in return I would really appreciate it if you buy the 'Booster Pack' - it's just £5 - and adds two fun new versions of Snooker that can be played on or off-line (it also allows longer matches and will include some other benefits longer term). The open beta is drawing near, we've done a signficant amount of internal testing. On-line play is working again - simplified and more stable than ever. Multi-Frame matches - best of 3,5,7,9 and 15 frames. Leaving and resuming games (including after a connection loss). Simplified sign-up, account managment (no keys or serials required). Still tweaking the much improved AI. 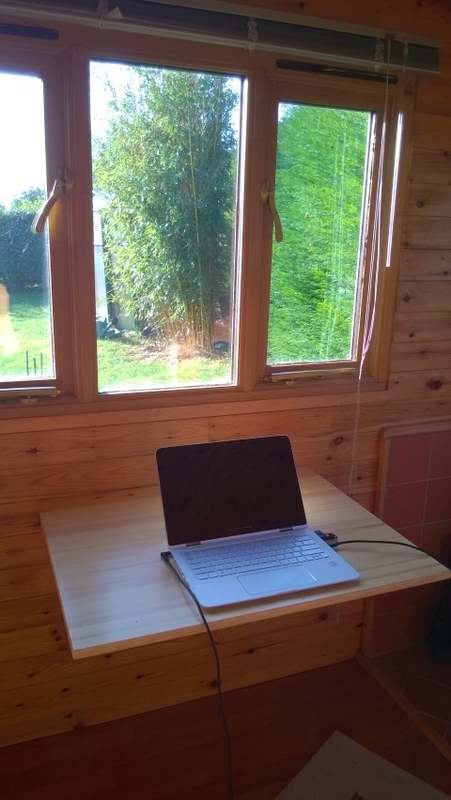 Improving camera handling - for less 'mousing' and more natural movements (no more migraine inducing 'zoom' through the middle of the table). 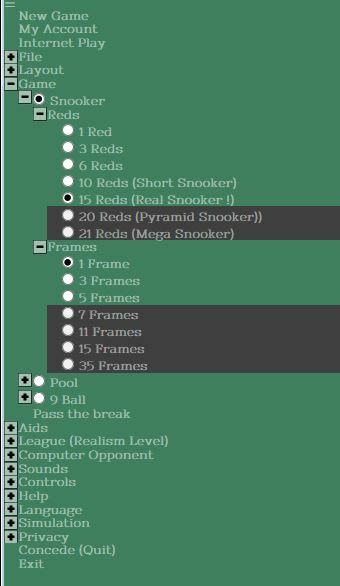 The next release WILL be QuickSnooker 8 - so much has changed, so significantly - I've decided to go with a new major version number and a co-exisitng program and setup package. This means you will be able to install QuickSnooker 8 alongside your existing version 7 and play either. It takes the pressure off a little and allows me to involve more people in testing earlier. How can YOU help - I hear you ask ? The forthcoming next version is including a lot more, and consequently taking a lot longer than I ever anticipated - after 30 years in software, you'd think I'd have learned. 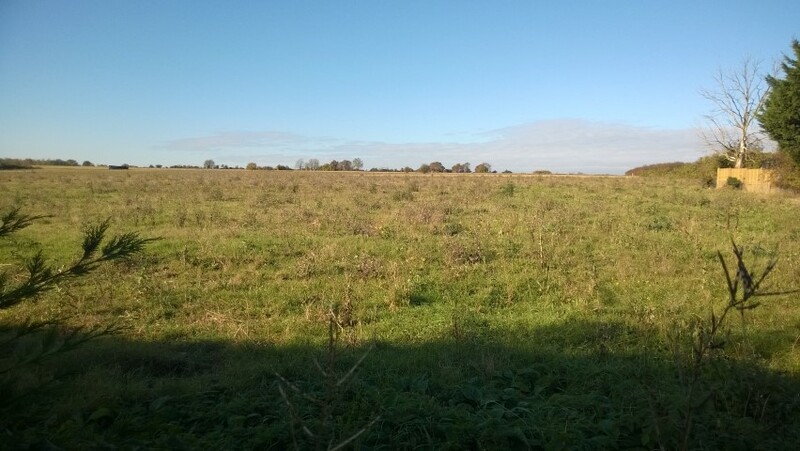 If you'd really like to help - you can sponsor the development effort by topping up your membership in advance - In the long run, it won't cost you anything. Sponsors get their name in on our progress/stats page - HERE and will get exclusive access to the 'wishlist' of future developments. Many thanks to our first few sponsors - with a special mention for long time members Lu & Daggi who have invested in another 5 Years ! of membership. I've considered 'crowd sourcing' through Kickstarter and the like - but I'm not a fan of their model, where funders seem to get almost nothing it return - and I really don't have the time to set it all up - So I thought I'd 'reach out' to the QS members first, I know a lot of you get a lot of enjoyment from the game. Here is the revision list of just some of the things already in the next version - If you'd like to see, contribute to, and vote on the longer term wish list - you know what to do. (top up you account to beyond a year). Hoping for a beta release in the next 7 days - If you're interest in beta testing - please use the contact form. Apologies for what was around 2 hours on-line play downtime this morning - All 67 accounts that might have been affected have been extended by a full day. It's embarassing - but not entirely my fault - I was adding compression to the webserver - as recommended by the Google PageSpeed tool - IIS then got it's knickers in a massive twist, about creating some logfile which already existed - The only way to clear that was a reboot - which insisted on a bunch of Windows updates . . which broke SQL server.. which... you probably don't need the gory detail. Anyway after 2 hours of 'panic stations' we're back - luckily nobody dies. Oh - and the website is now about 400% faster. Here's a little preview of the last couple of days effort *everything* takes longer than you think (in software - as in life) . . but now we have graphs . .
All leagues will appear as headings on a single page, these headings can be 'expanded' (with the + button), to reveal all the players in the league, each player summary row can be expanded to reveal their profile and performance graph. You will be able to cick the graph to see the details of every game played. If you haven't already - Please buy QuickSnooker now, the stats are a member benefit - if you want yours tracked - you need to register. Even if you have no interest in on-line play, the £5 unlock is great value. I have plans for more stats, such as countries played, total games, embedding the list of all games played, comments/notes on individual games, perhaps even a 'shot of the match' replay. Things might go quiet on the news front for a while now - I'm 'gong in' on the on-line play stuff - could be a day or two (or three) - Please keep playing and maybe invite a friend along ! 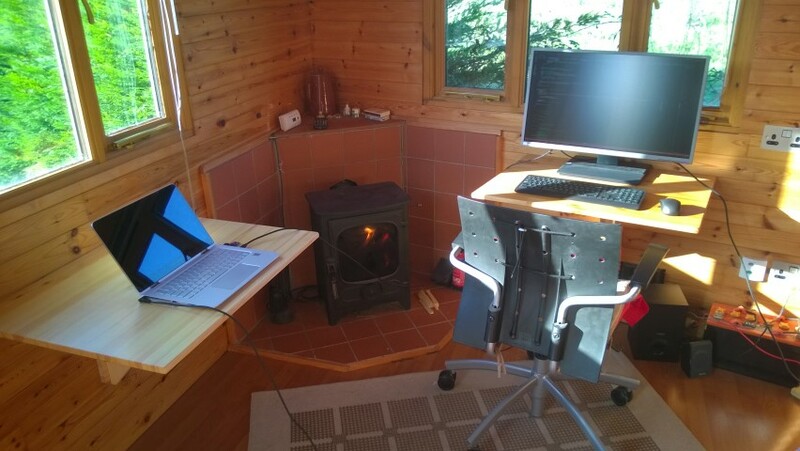 It was very cold this morning and for the first time this year I had to light the woodburner - I thought I'd share a few pictures of the QuickSnooker setup. 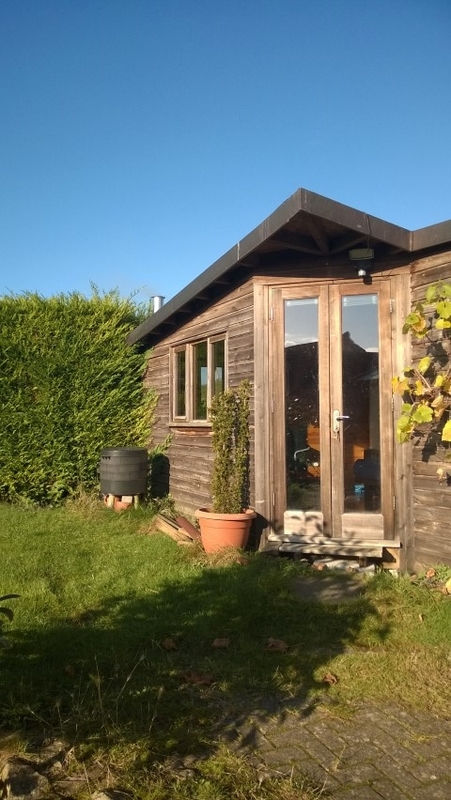 I'm very lucky to have a garden office, I built it about 12 years ago with what was my life savings from the 'rat race' - It's has seen a lot of use, and I love my daily commute. OK I should have done this years ago - but yesterday, Jake (#1 son) and I hired a real full sized Snooker table. Many thanks to the Anne And Robert at Childswickham - We had a good session, re-recording all the sounds, and getting a really good feel for a full-sized table. The next release will incorporate what we learned and definitely changes the feel of the game for the better, The real life balls have less speed and more momentum. 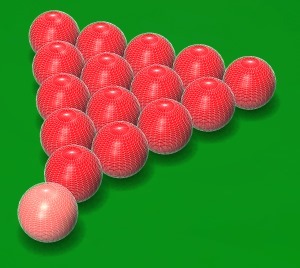 The other thing that was very apparent is you cannot cue as far out on a ball as Quick Snooker allows (without a guaranteed miscue). It's been 10 years since I was last on a full-sized table, and it's just as difficult as I remember it - I'm ashamed to say that my highest break in our hour at the table was 7 !. The new version is looking and feeling really nice, almost every aspect has had a facelift. You are going to love it - I just wish there were more hours in a day to get it done, but at the same time, it needs to be right. Expired memberships and on-line stats. After a big database clearout last week, it was obvious that more than 95% of our traffic was from non-paid or expired members. We can't sustain the game as an advert free on-line service on that basis, additionally that level of clutter (with several million unregistered frames recorded) was starting to affect performance for paid up members. As a result, we've stopped recording stats (wins, losses, 50's Centuries and Maximums) for lapsed members. Old statistics for trialists, who have never bought membership, have been removed. Generally the reaction has been surprisingly positive, with a healthy number of renewals in the last few days. If you are a previously registered member, and would like continued stats, rankings, access to on-line play, and technical support you'll need to purchase renewed membership - Please note members who have bought a Pro key, do not need to buy another - the £20, 365 day option is the best value for you. Of course you can continue to play the game as is, off line - and ignore the rankings message - your wins are not being recorded - but you can still have fun ! Blimey - long time no news. Things have been running smoothly, but this is just a quick note to say sorry that some registration keys got a little delayed today/yesterday. Paypal made some security related changes, and although it went pretty well, it turns out one thing was lightly broken. I think I have it fixed now but will watch the next few keys go out carefully - please drop an email to support@quicksnooker.com if you haven't had your key within 10 minutes of purchase. A short update for my friends out there on my 'life'- I packed in the 'real' job at channelcentral (in February), and have been working at home, learning some new technologies and developing some ideas and products of my own - I sure as hell can't afford to do it for long - but hopefully one of my mad schemes will bear fruit - otherwise, it will be back to the real world. More news coming soon . .